Does Aloe Vera Really Help Ease the Pain of Sunburn? Memorial Day weekend marks the start of the summer season, and for some, their first sunburn. After a long, cold winter everyone is excited to spend some time outside. Unfortunately, some people underestimate the power of the sun’s rays this early in the season and your skin can burn easily without proper protection from sunscreen and clothes. If you do get sunburn, will using aloe vera really help to soothe skin and ease discomfort? 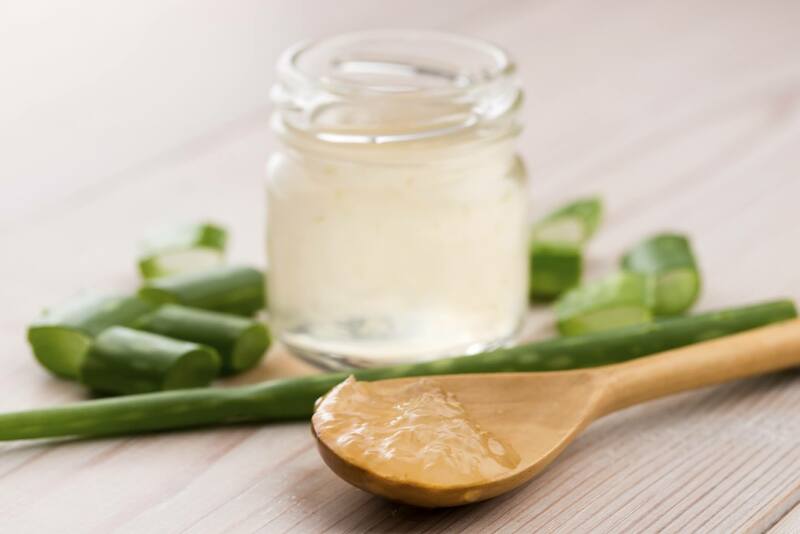 A natural remedy and popular home treatment for all kinds of mild skin burns, studies show that using aloe vera can help moisturize the skin and aid healing. Aloe vera gel or juice is antibacterial and has soothing qualities that will help you avoid the peeling normally associated with sun damage. Try a store bought aloe vera gel, or go directly to the source and use juice from the leaves of an aloe vera plant. Refrigerate the leaves, peel them open and directly place the gel or juicy part onto the burn. You can gently squeeze the leaves to get the juice out. While you can place the juice directly onto the sunburn, it may sting a little since aloe vera juice is an astringent. Try mixing the aloe vera juice with a little moisturizing Vitamin E and dab it onto the sunburn. Aloe shouldn’t be used on severe burns, so check with your doctor if you’re worried your sunburn may be severe. Your best protection against sunburn is using a broad-spectrum sunscreen with a SPF of at least 15 or greater year-round for all skin types. If you are fair-skinned and sunburn easily, you may want to select a sunscreen with a higher SPF to provide additional protection. For questions about your sunburn, or to learn how to better protect your skin from the sun, speak with a dermatologist at Flushing Hospital Medical Center’s Ambulatory Care Center by calling 718-670-5486. This entry was posted in General Health and tagged #aloevera, #ouch, #sunburncare by Sage Robinson. Bookmark the permalink.